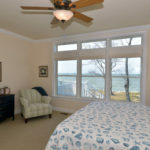 Overlooking the wide blue waters of the Chesapeake Bay, this delightful Cape Cod style home is a perfect place to spend a vacation week — or indeed, a whole lifetime. Haven’t reserved the place for your summer vacation yet ? 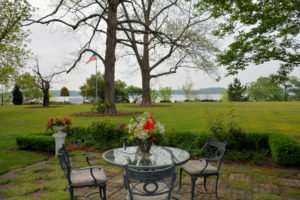 Looking to purchase a leisure or full-time home ? 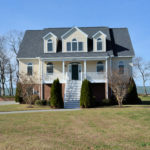 Located near the vibrant little historic town of #CapeCharles on Virginia’s Eastern Shore, this gorgeous 4 bedroom, 3 and a half bath home, priced at $775,000, is your unique opportunity to spend a week and discover if perhaps you’d love it for a lifetime. Sort of try and buy ! 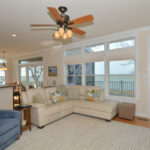 Imagine dramatic water views, golden sunshine, sandy beach, salty breezes and gentle tides — this home has perfected the relaxed feel and open style of a truly comfortable coastal home. 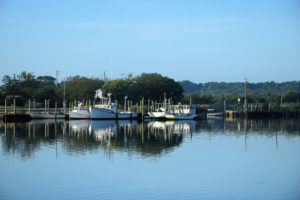 Located just a few minutes from the quaint historic town of Cape Charles which offers so much to do and see. 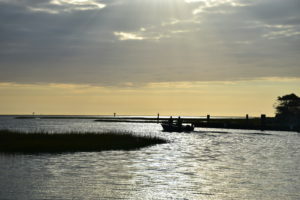 From fine and casual dining to art galleries and little shops, Cape Charles is ground zero for fun and relaxation. 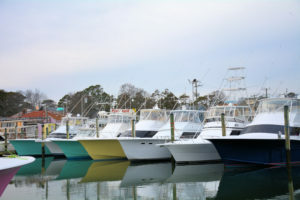 Boaters — provide a home for your boat at one of its 2 state of the art marinas. 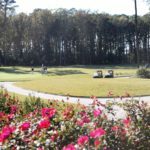 Golfers– take a swing at the 2 gorgeous waterfront Signature courses, a Nicklaus and a Palmer, among Virginia’s top ranked courses. 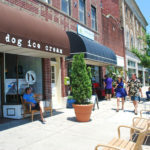 Joggers — take a run down to the beach and throughout this charming little town on the new community path. 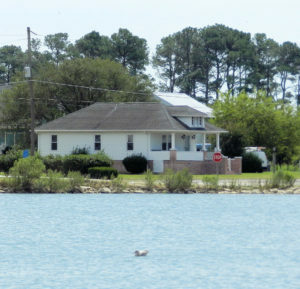 Whether is for a vacation week or a lifetime, this bayfront home offers the Eastern Shore’s sweet beach life. 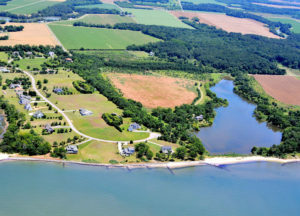 Call Blue Heron Realty at 757-678-5200 to make an appointment to see if this property would be the right leisure or full-time home for you. 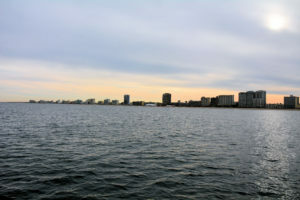 This is the perfect place to live the #EasternShoreSweetBeachLife! 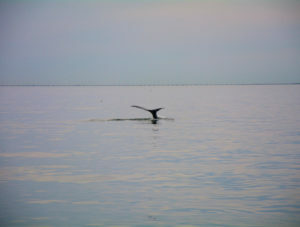 Whale Watching In Coastal Virginia — Thar She Blows ! Thar she blows! Splish, Splash, Flipper Slap ! 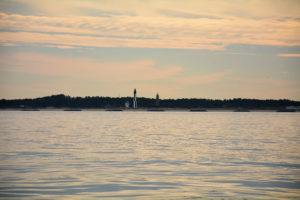 This past winter our family enjoyed some great Whale Watching— not in Alaska, not in Hawaii, not in the Caribbean – but right here in our local coastal Virginia waters less than a hour from our front door! So this is a whale of a tale starring boats, a bird, and, of course, whales. For about the last 10 years I’ve been hearing that a few juvenile humpback whales have been migrating through our area in winter, sticking around for a bit, munching on menhaden, etc., apparently the whale treat de jour. But for the last couple years, from the middle of December to about the middle of February, quite a few of these friendly marine mammals have been staying longer. 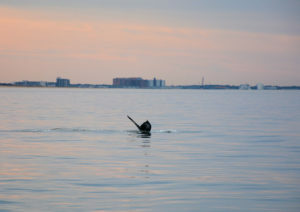 Apparently they are having a whale of a time in our home waters, not far from the Chesapeake Bay Bridge Tunnel, breaching, Big Splashing, flipper and tail slapping, just generally cavorting, acting like the acrobatic teenagers they are. So this past February we decided to take a whale watching tour with some of our kids and grandkids, a little adventure to see these magnificent creatures with our own eyes. So glad we did. 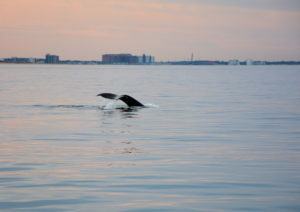 The on-board wildlife guide said that tour boat operators help notify the many big ships in the Hampton Roads shipping channel of the whale locations. 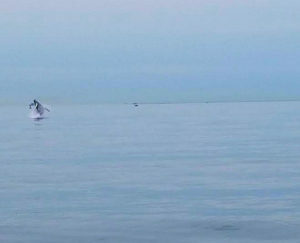 This in turn helps reduce the number of whales injured by collisions with ships, which is a serious problem. They also take photos of these whales and their tail and pectoral fins to forward to the environmental group, Allied Whales. Allied reviews the photos, then sends them on to be catalogued by the North Atlantic Humpback Whale Catalog group. 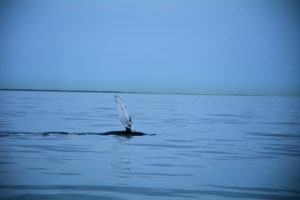 Computer recognition software enables the catalogers to identify specific individual whales through the distinctive markings on their tail and pectoral fins, helping scientists to track their migration patterns, etc. She said that this identification program indicates that just for the boat we were on, about 31 different individuals have been spotted this year and about 10 of these are confirmed to have been in our local waters previously. Incidentally, it’s the male humpback that “sings” the haunting whale song recordings we’ve all heard on You Tube, songs that can last up to 20 minutes or more. But too, too soon it was time to return to port. 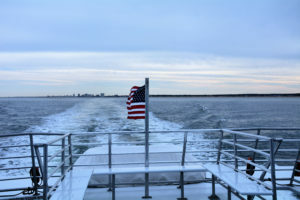 Fortunately, there were lots of other sights to enjoy on the way back, including many normally viewed from above when traveling on the Chesapeake Bay Bridge. Seen from relatively close by, on the water and at eye level, gives one a whole different perspective. A nearby Navy ship and a container ship literally towered above as they slowly proceeded past. Then, to cap off the day, as we slid back into the Rudee berth, we were greeted by lovely reflections in the water of the other boats moored there, a beautiful end to a wonderful afternoon. TAKE TWO !! TUNE IN !! 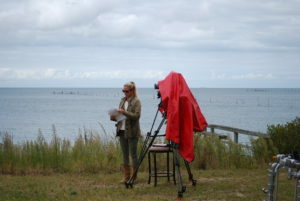 Blue Heron Realty is pleased to report that the 2nd national showing of the new Cape Charles Chesapeake Bay episode of HGTV’s popular “Beachfront Bargain Hunt” series featuring Blue Heron’s listings and Blue Heron agent, Eva Noonan, will re- air at 1 pm on Sunday, May 21st. Although it seemed to us that the premier showtime on April 2nd might never get here, (the actual filming took place early last fall ), that wait just served to heighten the anticipation all the more ! 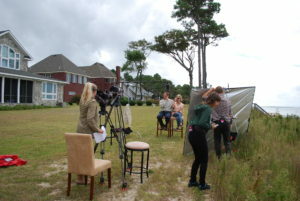 We are really proud as this is the second Home and Garden Network “Beachfront Bargain Hunt” program to feature Cape Charles, Blue Heron Realty listings and its agent, Eva Noonan, —a trifecta for our Small Town, Big Future ! 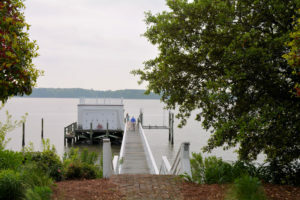 Located In Oyster, VA, This Cozy Waterview Cottage Is Ready For Lots Of Summer Fun 2017 ! 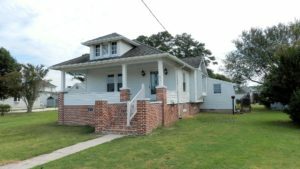 If you’ve been searching for a cute little getaway cottage with waterviews, this cozy and cute 2 bedroom, 1 bath seaside bungalow located on Virginia’s Eastern Shore in the tiny fishing village of Oyster, VA could be really perfect ! 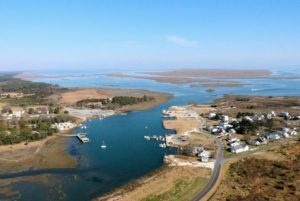 Perched on a knoll overlooking the quaint harbor and priced at just $199,000, it has recently been throughly renovated– new paint, new carpet, new Trane HVAC system, Rinnai water heater, appliances and more. 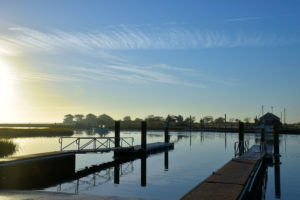 Early risers, savor your first cup of morning joe watching the sun rise above the shimmering salt waters. 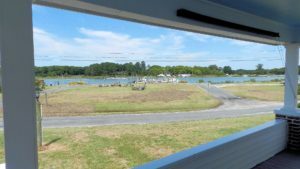 The large covered porch is the perfect place to relax and unwind, overlook sleepy Oyster harbor and enjoy watching the boats go by. 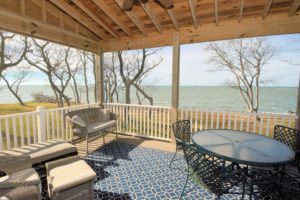 What could be more fun than a big porch, a comfy lounge chair, a book, a tangy breeze and a cold glass of iced tea spiced with ever-changing views of blue waters and sky ? 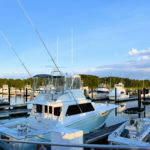 Or launch your own boat at the Oyster boat ramps across the harbor and cruise the inlet and out towards the Atlantic Ocean to some of the very best fishing on the Eastern Shore of Virginia. Flounders beware ! 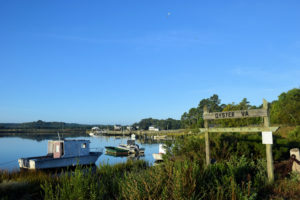 This is a great location — tiny Oyster is only about 10 minutes from the soft sand beach in Cape Charles as well as its 2 marinas, Palmer and Nicklaus golf courses, restaurants, shops, art galleries, etc. Good vacation rental potential too. Grab your flip-flops, move right in, this terrific little cottage is ready for you to enjoy lots of summer fun, 2017 and beyond. 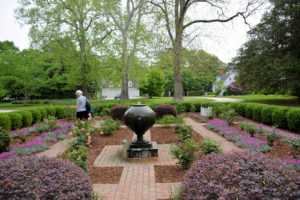 Saturday marked the 84th Annual Virginia Historic Garden Week statewide and the 70th Eastern Shore Virginia Annual Garden Week sponsored locally by the Garden Club of the Eastern Shore of Virginia. 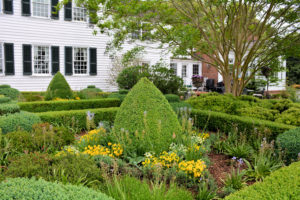 Five beautiful properties were opened for visitors to view both the homes and grounds. It was an otherwise busy day for me at Blue Heron Realty so I had to choose just one. 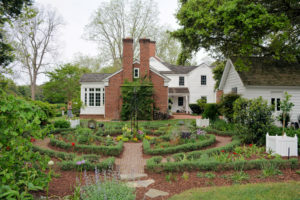 Because of its waterfront setting and history, I selected Vaucluse House located on Church Neck about 25 minutes from the little historic town of Cape Charles, VA. 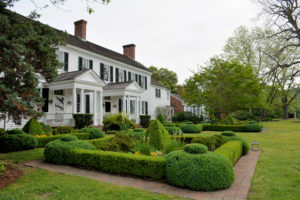 Built circa 1784, Vaucluse was the seat of the prominent Upshur family. 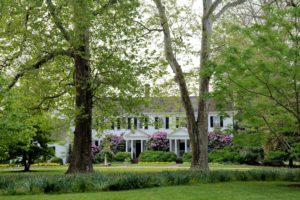 By 1829, one of its most notable heirs, Abel Parker Upshur, had expanded their holdings into a grand Virginia plantation. But young Abel, an attorney, had grander ambitions, becoming a judge and eventually becoming Secretary of the Navy and then Secretary of State, both under President John Tyler. 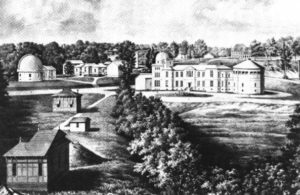 As Secretary of the Navy, Upshur established the Navel Observatory in Washington DC, one of the oldest scientific agencies still in existence today, in charge of the critically important positioning, navigation and timing for the US Department of Defense as well as the US Navy. It also operates the US Master Clock for GPS satellites, all pretty darn important. And Blair House, the official residence of the Vice President, is located on the Observatory grounds. So young Abel did some really impressive work during his tenure which was cut short when he died in an explosion aboard the new steamship, USS Princeton, during a demonstration cruise along the Potomac River in 1884. 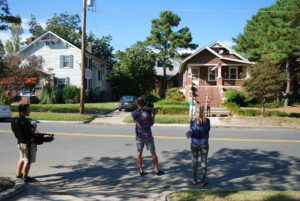 In addition to the continuing importance of the Naval Observatory, his legacy also includes 2 navy ships named in his honor, a number of streets plus counties in several states named for him, as well as Mount Upshur in Alaska. 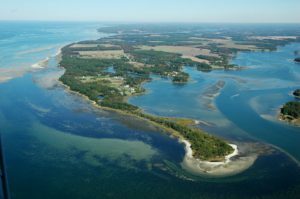 You are currently browsing the Life and Real Estate on the Eastern Shore of Virginia blog archives for May, 2017.